Hi! I’m Nana and I’m a Robotuber! 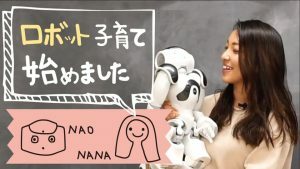 Parents bring your kids and join me on my adventures with my new robot friend Nao! The dream day has finally arrived! Join us for a sneak peak into the future where robots and humans live alongside each other!